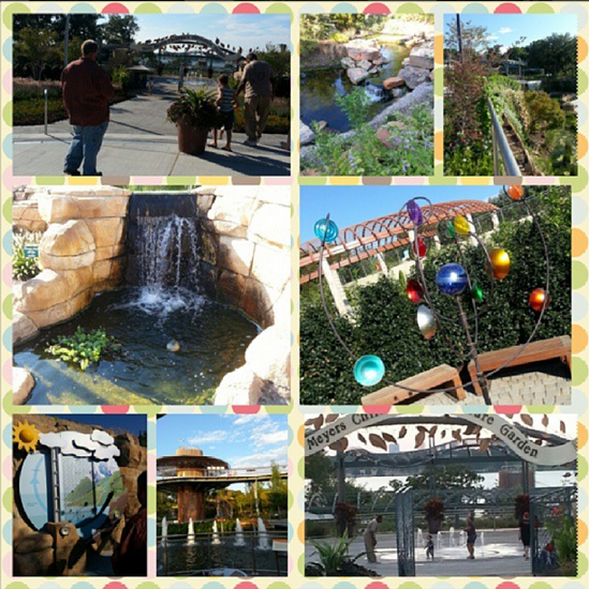 Have you had the opportunity to visit the Dallas Arboretum and check out the Rory Meyers Children Adventure Garden? I was excited last year when I was invited to check it all out before it opened. It’s a great place for the kids to have fun while learning a ton! We took our grandkids and they had a great time and we spent hours and still didn’t get to see everything – it’s a HUGE children’s area! They are having an anniversary celebration: A Celebratory Soiree For Adults I A Child’s World. The Dallas Arboretum announces First Anniversary Adventures, A Celebratory Soiree for Adults in a Child’s World, commemorating the opening of the nationally acclaimed Rory Meyers Children Adventure Garden on September 21. Co-chaired by community leaders Bettina and Dan Hennessy, the event benefits programming for the Rory Meyers Children’s Adventure Garden. Starting at 6:00 p.m., guests will enjoy cocktails in the Plaza and the music of the outstanding Booker T. Washington Jazz Combo, under the direction of Bart Marantz. Participants can experience the garden in all its wonder as garden guides give tours and provide insight in the various galleries. Guests can conduct hands-on experiments in the Plant Lab, observe the amazing Omni Globe in action, and even learn how to harness nature to create electricity.Dinner will begin at 7:45 p.m. with fine wine and beautiful music. Guests are encouraged to dress in cool and festive attire. In addition to the evening’s delightful activities, the Arboretum will honor the top donors to the Children’s Garden, including Rory and Howard Meyers who represent the lead gift, Harold Simmons Foundation represented by Lisa Simmons, Diane and Hal Brierley and Francie Moody-Dahlberg of the Moody Foundation. The Honorable Kay Bailey Hutchison will serve as the Guest of Honor, after serving as the Honorary Chair of the capital campaign to build the garden. Cecile Bonte, whose multi-year leadership as capital campaign chair helped raise the millions to build the garden, will serve as Honorary Chair. Tables for First Anniversary Adventures start at $2,500, and single tickets start at $250 per person. To purchase tickets to the gala, visit, http://www.dallasarboretum.org/visit/seasonal-festivals-events/yearofcg. For more information about First Anniversary Adventures, contact Karen Reardon at 214-515-6601 or [email protected].